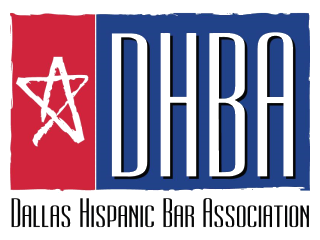 Join the DHBA for a panel discussion on “Latinos in a Changing Legal Community.” Thursday, April 27, 2017, 5:30 to 8:00 pm, Latino Cultural Center, 2600 Live Oak Street, Dallas, Texas. Panelists include Hector Garza, Judge, 195th District; Roberto R. Alonzo, Texas. Rep., District 104, Sasha Monik Moreno, Immigration Attorney; and Isaac Faz, President-Elect, DHBA. Presented by the UNT Dallas College of Law Hispanic Law Students Association in partnership with the Dallas Latino Cultural Center and the DHBA. Food and beverages provided.